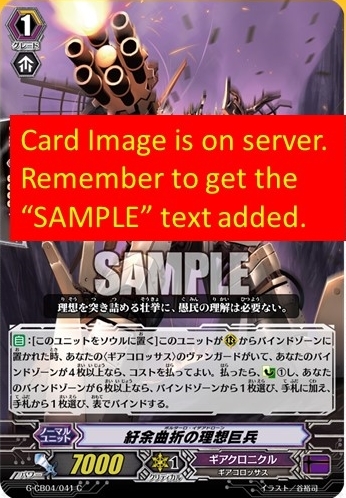 Some English names for the Idea-drones (almost the same), and some small insight into how Bushiroad creates content. Voltaro Idea-drone is Voltaro Idea-drone. Kerugoemi Idea-drone is Kaigomai Idea-drone. Prosopagia Idea-drone is Prospatheia Idea-drone.